Vance Worley had it going on last night in San Diego, he mowed down 11 Padres via strikeout (a new personal record) and the Phillies took a 2-0 win for their 6th win of the season over San Diego. Worley picks up his first win on the 2012 season after going 11-3 last year, his ERA is at 2.37 so far. It was the 12th straight victory for the Phillies in San Diego, it extends the record now as the Phillies have the record in victories that are consecutive against a team in their home ballpark. The Padres are 3-11 on the season, so the Phillies should have a better chance for victory there, but that isn't always true. 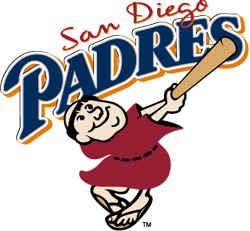 The Phillies record last year vs. the Padres was 7-1 on the season. The Phillies also set a record for themselves last year for road wins as a team, they were 50-31 (.617) on the season, it was also a record that was best in the MLB last year for road wins. Another late game out in San Diego tonight, it's Cole Hamels, who was born in San Diego, pitching for the Phillies. Hamels is at 1-1 on the season with a 3.65 ERA and he will face Cory Luebke (1-1 3.71 ERA) Edinson Volquez of the Padres.